The energy transition requires the development of clean and efficient conversion devices for alternative carbon-free fuels and energy carriers. Numerical models play a major role in the design process of such devices. Jeroen van Oijen is an Associate Professor in the Power & Flow group at the department of Mechanical Engineering of the Eindhoven University of Technology (TU/e). He is a specialist in theoretical and numerical modelling of combustion. His expertise is largely in the field of engines and energy converters and his teaching focuses on mechanical engineering, chemically reacting flows, modelling combustion and interfacial transport phenomena in engineering flows. Jeroen van Oijen employs highly fidelity numerical models to unravel the fundamental processes in reacting flows and uses this knowledge to develop computationally efficient models for large-scale simulations of real devices. He is the inventor of the well-known Flamelet-Generated Manifold (FGM) method, which enables the use of detailed reaction mechanisms in engineering simulations at affordable computational cost. His group aims to develop new models for the design of devices employing new combustion concepts and future sustainable fuels. Jeroen van Oijen received his MSc in Applied Physics from TU/e in 1996. His thesis concerned the numerical simulation of the advection of passive tracers in two-dimensional flows. Following this, Jeroen became a PhD student at TU/e. He began working as postdoctoral researcher on the numerical simulation of turbulent flames using advanced flamelet models. Jeroen is known for developing the Flamelet-Generated Manifold (FGM) method, a scientific breakthrough in the field of combustion modelling. In 2003 he was a visiting scientist in the group of Prof. Peters, the Institute für Technische Mechanik at RWTH Aachen. He has been visiting professor at Stanford University, CA, in 2010, and at the University of California Berkeley, CA, in 2014. 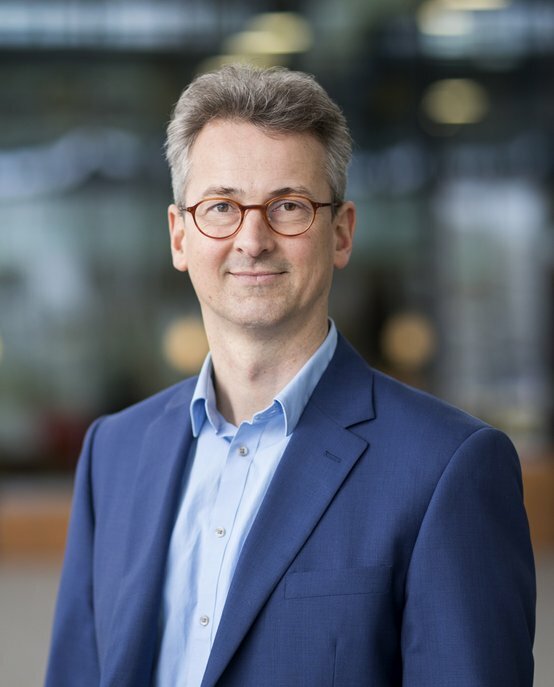 He has co-authored nearly 100 journal papers and is chairman of the Dutch Association for Flame Research and coordinator of several national and international research projects on development of reduced models for turbulent combustion and emission modelling. His models are used for the design of clean and efficient engines, boilers, furnaces and gas turbine combustors.